If you're an owner, end user, or contractor and need a copy of our current wage rates, please feel free to fill out the form below with your detailed contact information and we'll be happy to send them over to you. If you like, you can also contact us at (617) 323-0474. NOTE: IN THE INQUIRES FIELD, PLEASE NOTE THE TERRITORY FOR WHICH YOU NEED WAGE RATES. 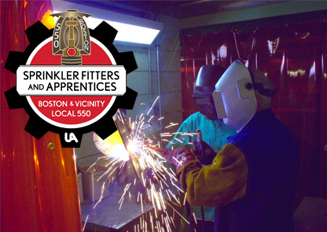 SPRINKLER FITTERS LOCAL 550 HAS NUMEROUS WAGE RATES AND THIS WILL HELP US TO PROVIDE YOU WITH THE CORRECT WAGES FOR YOUR UPCOMING PROJECT.